Well, that is the summer holidays over for another year! Let me start by welcoming back all our members who have been on vacation during the past couple of months. 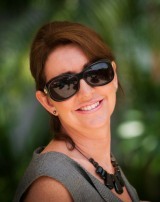 Hopefully you are well rested and looking forward to getting on with KL’s social scene again. We have much to look forward to at the tail-end of this year. It will be a night of glamorous decadence and fun. We are also well ahead with our planning and preparations for the annual St. Andrew’s Ball which will be held on 26th November 2016 at Hilton Doubletree hotel in Kuala Lumpur. This event is a wonderful evening where we celebrate our Scottish heritage and culture in a traditional way with renditions of pipes and drums and Scottish Country Dancing together with Ceilidh Dancing. The Society held the first St. Andrew’s Ball in KL in 1887 and we have continued hosting this event on an annual basis ever since that time with the exception of the war years. So the St. Andrew’s Ball is probably one of the longest standing social events of its kind in Malaysia. 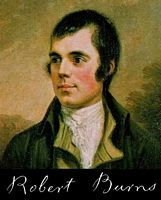 The Burns’ Supper will be held at the Hilton Doubletree hotel on 21st January 2017. Preparations are underway, as we organise speakers to give the various toasts, select the dinner menus and wine, plus all the other entertainments that are integral to a celebration of our national poet. I have to say there is a lot of fun working on the various organising committees of these events. Indeed we have a very good team on our main committee and in the various sub-committees responsible for managing individual events. If you would like to participate on any of the committees, please do let me know as we always welcome those who are keen to get involved with the committee work of the Society.